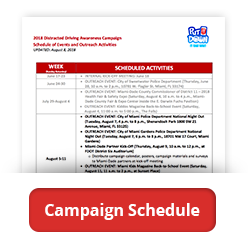 Commit to being a safe driver, pedestrian, and bicyclist. Let “Alert Tonight, Alive Tomorrow” serve as a reminder to make yourself visible while walking and biking at night. Drive carefully and be alert!